Kevin Hull | Journalist. Educator. Researcher. 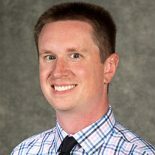 Kevin Hull (Ph.D., 2015) is the head of the journalism sequence and an assistant professor in the School of Journalism and Mass Communications at the University of South Carolina. His research focus is how sports broadcasters are using social media to engage viewers, sports organizations, and athletes. Kevin teaches introductory journalism and sports media classes at the University of South Carolina. His research has been published in a number of sport media academic journals, including Communication & Sport, International Journal of Sport Communication, and the Journal of Sports Media. In 2018, Kevin was awarded the “Promising Professor” award from the Association for Education in Journalism and Mass Communication (AEJMC). He spent nearly ten years at WECT-TV in Wilmington, North Carolina, with the majority of that time acting as a Sports Reporter/Anchor. From there, Kevin worked as a digital media teacher at Topsail High School in Hampstead, North Carolina, teaching his students skills involving graphics, video, and web design. Kevin earned his Ph.D. in Mass Communications from the University of Florida, a MAT in Teaching Technology from North Carolina A&T State University, and a BS in Journalism from Boston University‘s College of Communication.